If you’re looking for just a quick fishing trip without leaving the island, head to Fort Zac. Often known as Key West’s best beach, here you can fish off the rock jetty for numerous varieties. Think snapper, amberjack, and tarpon. Even if you’re just planning to catch and release, you will need a fishing license. Luckily, they’re easy (and cheap!) to purchase through the Florida Fish and Wildlife Conservation Commission. A fishing trip to The Keys would not be complete without a day spent in Islamorada. Known as the sport fishing capital of the world, here you will find more big fish than you know what to do with. Although it’s somewhat of a trek from Key West, for the fishing trip of a lifetime, it’s one that’s worth it. On Islamorada you can have your chance at bonefish in the flats, swordfish, and tons of dolphin (mahi-mahi) in the summer. Another great fishing spot in The Keys, Marathon is known for its tarpon population. And for those of you who haven’t caught tarpon before, it’s quite the adventure. These are some of the most feisty (and big) fish to catch. They don’t like to give up without a fight. Also along the island’s reefs and the Marathon Hump there are numerous other species from marlin and sharks to yellowtail and grouper. The preferred fishing spot for Ernest Hemingway, this “Great Blue River” just off of the Florida Reef is where Papa would frequent during his tenure in Key West. It’s this current that carries some of the biggest fish in the waters off of Key West. It’s also the closest you can get to Cuba without setting foot on land. 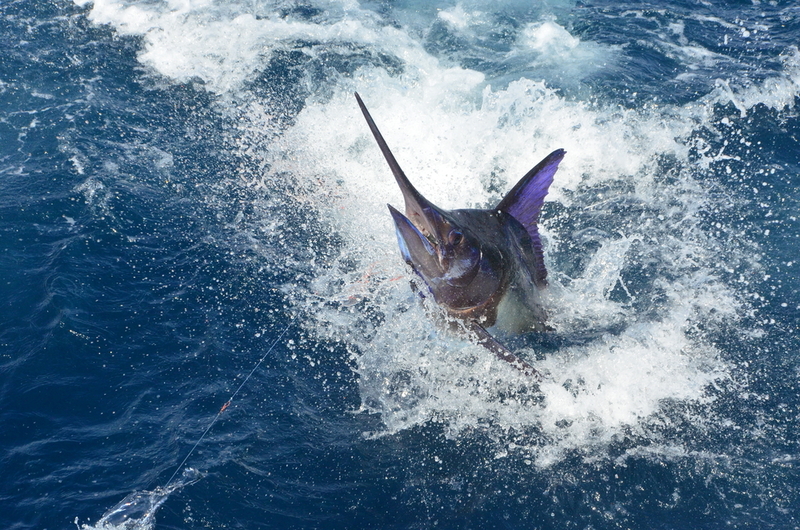 Ready to plan your fishing trip in The Keys? 24 North puts you within minutes of the island’s best charters. Check out our specials here.